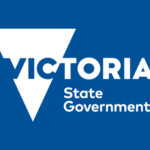 OpenGov reports that it has awarded the Recognition of Excellence (RoE) to Victorian agencies who have achieved excellence in using ICT, often working behind the scenes to make government smarter, more agile, more efficient and more transparent. Winners of the award include the Department of Economic Development, Jobs, Transport and Resources (DEDJTR), for Australia’s largest and fastest free WiFi network; and the Department of Health and Human Services (DHHS) for the Family Violence Referral and Triage Portal. In May 2016, the Victorian Government launched its Information Technology Strategy, 2016-2020, charting directions for open information, digital services, strong modern systems, and increased capability. It has been a year since then and significant success has been achieved. 19 of 22 targeted actions were completed by March 2017 and four more are on track for completion by June.